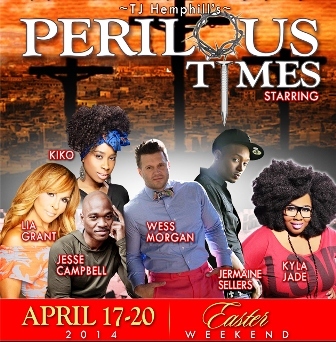 Celebrating the death, burial and resurrection of Christ, Wess will star in the stage play, Perilous Times April 17th through the 20th at the Music Hall. For more information and for tickets CLICK HERE! This entry was posted in Confessions Entertainment and tagged Detroit Music Hall, Perilous Times, Praise Detroit, Randi Myles, Wess Morgan, Wess Morgan Interview, You Paid It All by ConfessionsofaGospelDJ. Bookmark the permalink. Thank you. I enjoyed this video with Wess Morgan very much. He always makes me laugh and cry when I hear or see him so anointed.